The three of them, one from Guna and two from Indore passed away due to an apparent cardiac arrest. Madhya Pradesh and Mizoram went to polls on early Wednesday morning. In MP, over five crore people will decide the fate of 2,907 candidates contesting in 230 constituencies. In Mizoram, the polling in 40-member legislative will decide the fate of 209 candidates, reports NDTV. While Madhya Pradesh chief minister Shivraj Singh Chouhan is seeking to be re-elected for the fourth time, Congress is looking forward for the third term in Mizoram, where it has held power since 2008. BJP has never won an election in the hill state. The counting of votes will be held on December 11, along with three other states - Telangana, Rajasthan and Chhattisgarh. During the voting process in Madhya Pradesh, three polling officers -- one election commissioner from Guna and two from Indore -- passed away suddenly during the voting process. They were at the polling booths at the time of the incident. 58 percent of the total voters have turned up till 3 pm in Mizoram. 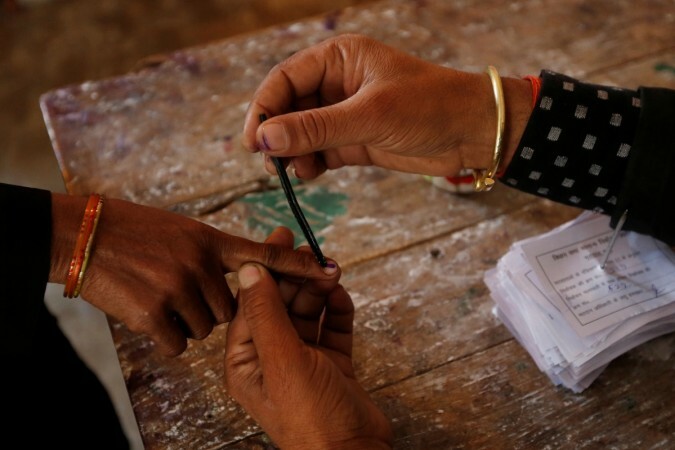 The Election Commission has recorded a 50 percent voter turnout in Madhya Pradesh till 3 pm. 49 percent voters turned up to vote in Mizoram till 1 pm. "There are provisions for the extension of time, the local officers can take the call as they see fit. The matter does not need to be handled by the commission." CEC O P Rawat told ANI. According to Business-Standard, firing was reported outside booths 120 and 122 in Bhind district's Mehgaon constituency. One man is critically injured. NDTV reports that the shots were fired by supporters of Rashtriya Lok Samata Party. The party's candidate, Dr Rajkumar has been kept under house arrest. 21 percent voting has been reported in Madhya Pradesh till 11 am on Wednesday. The Congress leader said, "There have been many complaints of EVMs malfunctioning, have written to Election Commission. Have requested that voting time in these polling booths should be extended to compensate for the delay." 25 percent of the seven lakh voters came to cast their votes in Mizoram on Wednesday. BJP leader Kailash Vijayvargiya travels in style in a horse chariot to cast his vote in Indore. His wife is also seen traveling with him. The Election commission announced a Rs 10 lakh compensation for the families of the three polling officers who suddenly passed away during the voting process in Madhya Pradesh, reports ANI. Bru refugees, who were chased out of Mizoram in 1998 on ethnic grounds came to the Mizo state to cast their votes in Kanhmun village in Mamit district. Over 12,000 Brus came to cast their vote at 15 temporary polling booths installed for them. "They started coming here since 6 AM in the morning. Till now there is around 10 percent turnout in the 15 polling booths set up for nine assembly constituencies at Kanhmun", a modal election officer who wished to remain unidentified told Indian Express. According to ANI, one election commissioner in Guna and two others in Indore passed away due to cardiac arrests at the polling booths during the voting process. Polling in Madhya Pradesh is from 8 am to 5 pm. However, for three segments, Lanji, Paraswada, and Baihar, in Balaghat region the voting time is from 7 am to 3 pm. These three districts are known for the Naxal activity. 15 % total voter turnout has been recorded in Mizoram till 9 AM. Over 7 lakh people voters, including 4 lakh women are expected to vote in Mizoram today. "I have full faith in the people of Madhya Pradesh, they are simple and innocent people who have been robbed for a long time by BJP," Congress minister Kamal Nath told ANI. Madhya Pradesh Minister Yashodhara Raje is contesting in Shivpuri with the BJP's ticket against Congress' Siddharth Lada. The police arrested one person after a campaign material was found and seized near a polling booth at Saint Mary's in Bhopal. The material was found with BJP polling agents who were placed 200 metres away from the booths, reports ANI. The political parties contesting in the elections have urged voters over social media to vote. PM Modi asked the voters in Mizoram to come out in large numbers and vote. He said, " I request my sisters and brothers of Mizoram, particularly the dynamic youth of the state, to turnout in large numbers and vote." The BJP has not yet been able to make a mark in the eastern-state of India which has been ruled by the Congress since 2008. Madhya Pradesh Chief Minister Shivraj Singh Chouhan said that he is 100 percent confident that BJP will form the government in the state. "We are 100 percent certain that BJP will form the government with an absolute majority. We have set a target of 200 seats and our lakhs of volunteers are working to make it a reality," Chouhan was quoted as saying by ANI.